One strand of 50 Czech fire polished crystal beads. These beads measure 3mm. Add some sparkle to your jewelry creations! I really like these, especially compared with some "denim" colors I've purchased elsewhere recently. These are chambray colored and are somewhat translucent, and they *do* have a nice opalescent luster. 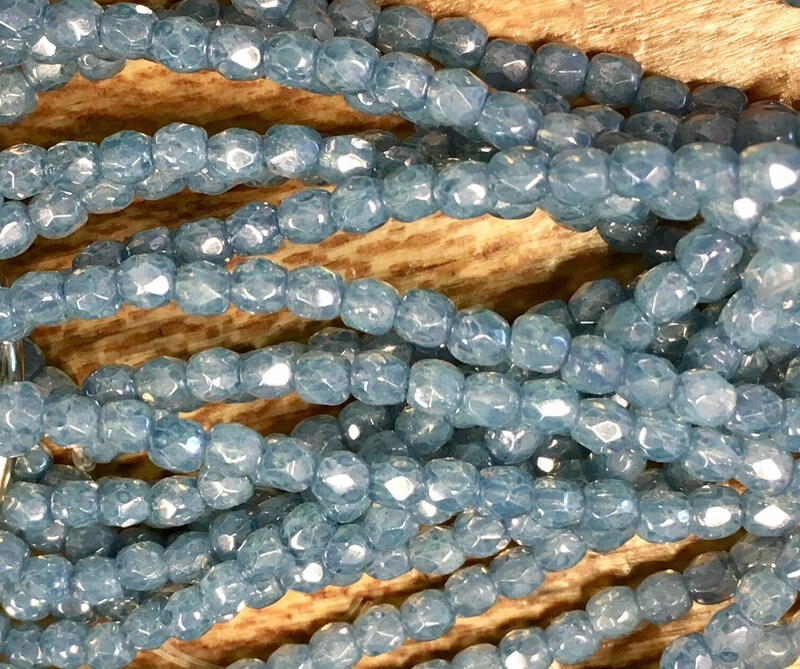 Pretty, delicate beads- I bought without a project in mind, but loved the color. Great shop!